If the media has to cover everything that affects the society, it cannot ignore the anomalies of media too. But writing on the media issues often invite debates among the journalists in particular and conscious people in general. Moreover the entire episode can create confusion among the common people as it lures wild response from the opposite party though often in different shape and sizes. 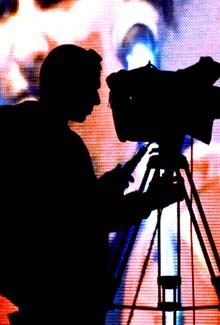 An issue of media debate has engulfed the journalists and citizens of Assam, whether the United Liberation Front of Asom (ULFA) had ever invested in a media house of Bangladesh. The dreaded militant group, which runs training camps in Burma and Bangladesh for quite a sometime, is said to have enjoyed stakes in the Dhaka-based Daily Star group. The banned armed outfit, which is fighting New Delhi for a Swadhin (sovereign) Asom for the indigenous people since 1979, is understood to take the initiative for garnering support from the people of Bangladesh, more particularly the civil societies in the neighboring country, using the media space. It started with a write up of Sunita Paul, a senior Indian wrier, who highlighted on media's nexus with the evil forces. In the article, published in a US based portal during the first week of June, Sunita made a reference to Bangladesh's leading media group (Transcom Media), which owns 'The Daily Star' with a Bengali daily 'Prothom Alo' and two periodicals namely 'Shaptahik 2000' and 'Anandadhara.' It also owns an FM radio called 'Aina Broadcasting Corporation.' Sunita narrated the history of the Bangladesh media house, where the ULFA leader had allegedly invested a huge amount of money. ULFA, which has been identified as the most claver and cunning insurgent outfits of Northeast, extorts money from various business groups of Assam under the threat of guns. The outfit demands the money to buy arms, train its cadres in foreign territories and propagating the arm struggle in a sustained manner. As the authority often turns incompetent to deal with the extortion drive by the ULFA militants, the victims had no other options than buying peace with the money paid to the rebels. Sunita Paul pointed out the initiative of one Latifur Rahman, who was actually the fulcrum of success for the Star group and came into contact with a powerful ULFA leader, Anup Chetia, the then General Secretary of the outfit. Presently behind bars in Dhaka's central jail, Anup helped Rahman financially for the business. It is to be noted that Rahman's wife was from Assam and was known to the ULFA leader Anup Chetia. "It is learnt that a few million dollars were placed with Latifur Rahman for re-organising his collapsed business and ULFA kept a secret stake of shares in all businesses initiated by Latifur Rahman after receipt of this secret fund," the writer explained in the article, which was published in a Bangladeshi weekly too. Rahman thus launched a company called Transcom, which began business as the sole distributor of Nestle brand milk products in Bangladesh and very soon it emerged as one of the mightiest enterprises in the country. Meanwhile, when Dhaka's well-respected journalist S.M Ali took the initiative of launching an English newspaper, the ULFA leader suggested Rahman to acquire shares of the newspaper group such that it could manage media influences for the separatist group. Ali was successful in placing the Daily Star at the forefront of Dhaka's English press, because of his extra-ordinary qualities and courage. But the sudden demise of Ali opened the opportunity for Rahman to swallow the newspaper. He brought Mahfuz Anam as the editor of the newspaper, who subsequently ousted the ancestors of Ali and grabbed his shares, the writer further explained. "Even as Indian security agencies kept up pressure on Dhaka to shut down enterprises run by ULFA, the militant outfit has quietly expanded its business portfolio in the country. New Delhi had, a couple of years ago, furnished a list of businesses suspected to be owned by ULFA, along with a series of account numbers. Dhaka told India that none of the business entities could be traced. ULFA's business interests were diverse, ranging from driving schools, nursing homes, hotels to garment export houses to deep-sea trawlers," the Assam daily elaborated. But surprisingly the correspondent Barooah did not try to verify the facts (put by Sunita). He neither contacted Sunita nor talked to the Daily Star office for clarification. The Daily Star, being the largest newspaper in a neighbouring country and available on the web, could have easily been contacted by Barooah. Moreover he prepared the news after the original article was uploaded more than seven weeks back. Many times, it is accepted as a common practice, but if one weighs the credibility of The Assam Tribune, it should not have happened. The Assam Tribune later received a rejoinder from the Daily Star editor Anam and Assam Tribune published it in the front page on August 28 issue. "I strongly protest the content of the piece, which is full of lies, distortions and inaccuracies," said Anam adding, "Your correspondent admits he based his write-up on a piece in the Internet portal called Global Politician written by one Sunita Paul titled 'When the media turns into evil.' Should a journalist write a report purely based on an Internet piece without verifying anything himself?" Asserting that Barooah made no attempt to contact the office of the Star for their comments and, Anam alleged, he also did not put any research to find out the veracity of the Internet piece. Regarding Sunita Paul too, the editor informed that she never contacted him any of his administrative staff while writing the story to ascertain facts about them. The Assam Tribune editor was contacted for comments on the issue, but no response arrived. Earlier, this writer tried to contact the editor of the Bangladesh daily also through e-mail and also over telephone, but failed. In my first attempt on August first week, the editor was said to be out of Dhaka and hence the news-editor of 'The Daily Star' responded to me. Though he denied the allegation, the gentleman was not ready to furnish any official clarification on the issue. He wanted full details of the controversy, which was sent to him immediately through e-mail with a request to clarify the newspaper's stand on the issue, but no response arrived. The office of the newspaper was contacted again on the third week of August and this time one senior journalist in news desk responded my call. As usual, he too overlooked my request to pursue with the editor on the issue. Third time, this writer called the Star office on the fourth week of the month and finally reached to the private secretary of the editor. Though initially he responded passionately and informed that the editor was in the city, later he regretted that Anam was not immediately available for a comment. He too wanted the details of the allegation which was complied promptly. Finally the editor Anam sent me a mail on August 26 saying that he was unable to respond to my queries earlier as he was on holiday. Appreciating my enterprise, Anam also informed that he was sending a formal protest rejoinder to 'The Assam Tribune' very soon. But the denial of the editor Anam was once again hit back by Sunita. Responding to the queries of this writer, Sunita argued that the clarification of Anam was nothing but an attempt to save the face of his media group from the attention of anti-terror organizations around the globe. She also claimed that her article was published in a number of international media outlets including two Dhaka based portals and a weekly newspaper within June-July, but even then the editor preferred to remain silent till the last week of August. Sunita also decried another point of Anam in the clarification where he argued that there was no media house called Transcom Media in Bangladesh. Anam claimed that the Star was owned by Mediaworld and the Prothom Alo by another company called Mediastar. But Sunita reiterated that Transcom is the owner of all these newspapers including the Daily Star and Prothom Alo (reference www.transcombd.com). The issue even becomes a matter of discussion and concern among many senior editor-journalists of Dhaka. Responding to my phone calls, an editor of a prominent Bangladesh weekly asserted that the Daily Star was a newspaper of dubious background. He declared that the revelation regarding the ULFA money in the media group was correct. And hence, the weekly editor argued, the newspaper office remained silent for as much time it can do, even though the allegation was raised by the media and subsequently its office was contacted repeatedly (over telephone and through e-mail) with enough details.